I took a break from my journal for a while. Sometimes, you need to take a step back and ask yourself, what are you trying to accomplish. I have been trying to not only add in my point of view on the hockey that I play, but add in things that are going on in my life. A few weeks ago, I was totally unmotivated to update this journal. Now, I have found my way back here to hopefully start things up again. Hockey has been very good to me as of late. My Bulldogs team is tied for second in the division. 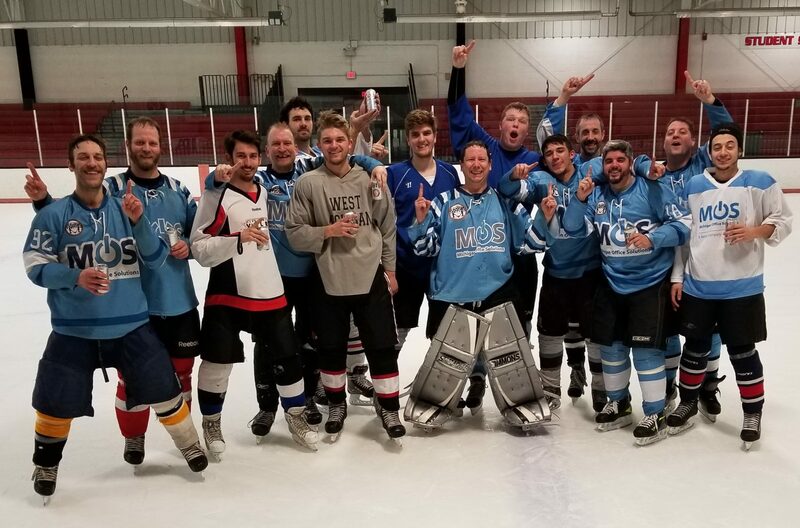 I won my ice hockey league championship game a few weeks ago. That was a first for me. Lastly, I have 7 assists in 4 games with Vintage Painting as a forward. Hopefully I will get a few more points tonight. I have been spending a lot of time setting up this rec league ice hockey game at Van Andel Arena on April 16th. I have the players, and most of them have paid up on time. I am still collecting money though and getting the group together that is going to come watch us play. I will be thankful when this is done, but I really am happy it is all coming together. Lastly, I wanted to chime in about Terri Schiavo. I am glad she has passed away. This is something that should have happened 10 years ago when both sides realized she was brain dead. I found a link that expresses how I feel for the most part on this matter. I will let that do the talking.